This past Wednesday, we had our very first life group time at Stanford house. We started off with a delicious meal of gumbo, rice, and cornbread. It was a fun time to get to know everyone and share laughs as we recounted different stories from the past. Afterwards, we split up into our brothers and sisters life groups. The brothers started off the time with sharing Two Truths and One Lie. 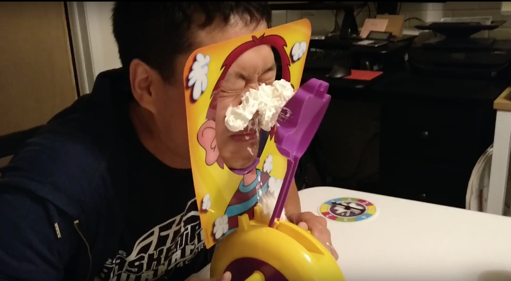 The three losers had to do a fun punishment challenge where it was up to chance who would get pied in the face through a fun game that Del bought. Both groups had a time to draw out our life journeys, highlighting our lows and highs of our lives. As we recounted our past, it was a great heartfelt time as we shared vulnerably about our lows in life and by the end of the night, we could really feel that sense of brother and sisterhood with one another! We ended the night with some delicious cupcakes and ice cream! :) Join us next time!